WordPress is the most-popular CMS in the world. It’s market share pales others by comparison as it continues to evolve to meet diversifying demands. WordPress hosting is an important consideration to make for your WordPress site’s SEO power. Not all hosts provide the backend support required by WordPress to allow sites to be as fast as possible. Slow sites are bad for SEO and Google won’t rank them as well. Webhosts are, at their very core, just someone who rents you a computer. That computer is dedicated to answering responses (http requests usually) that others send. It just sits there, waiting, in order to allow everyone access to your website. Companies are out to make money though, and it wouldn’t be profitable to give every website its own computer. After all, there are a lot of websites! Most webhosts group together many different websites onto a shared computer. This is ok, but lacks a lot of performance benefits. Your website is sharing those resources with others. That means that if someone else’s website starts hogging a lot of memory that your website will suffer in performance. To hell with that, right? A VPS is similar to shared hosting in that your site is on a computer shared by other sites. The biggest difference is that your site is allocated a specific amount of resources, such as memory and CPU workers. That means that if other websites on your shared machine peak in performance that it will have little to no effect on your site’s performance. Dedicated servers leave a lot of management in your hands but offer the most power. This type of hosting is akin to hosting a website on your own computer, except that it’s someone else’s (usually optimized for http requests.) These machines are expensive, require a lot of technical knowledge, and are generally a bad idea for anyone without a technical background. Managed webhosting solutions vary in their architecture but generally have the same value prop: you don’t have to mess with much. When it comes to WordPress, this means that caching controls are optimized, database queries are analyzed and optimized, and server configurations are taken care of for you. What’s more, any managed WordPress host that’s worth your consideration will provided rolling backups with one-click restores, 24/7 support, and even development environments to test out changes before making them live. When it comes to WordPress hosting, faster is better. There’s certainly the argument that a fast website that breaks isn’t better—but surely you already know that. What I’m talking about is, among the WordPress hosts that tick all the boxes for features, which one of those is the fastest? In other words, which managed WordPress host is the best of the best? Keep reading to find out! 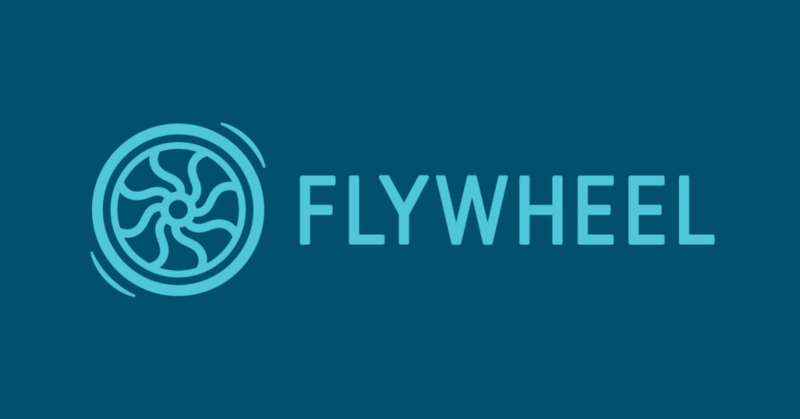 Flywheel hit the scene marketing themselves as a no-nonsense, hands-on, advocate for small web design firms. They have toolsets meant to help with the development process, have an intuitive interface, and have excellent support staff to help when you hit an issue. They offer many standard plans for sites of all sizes and custom plans for those that demand more. 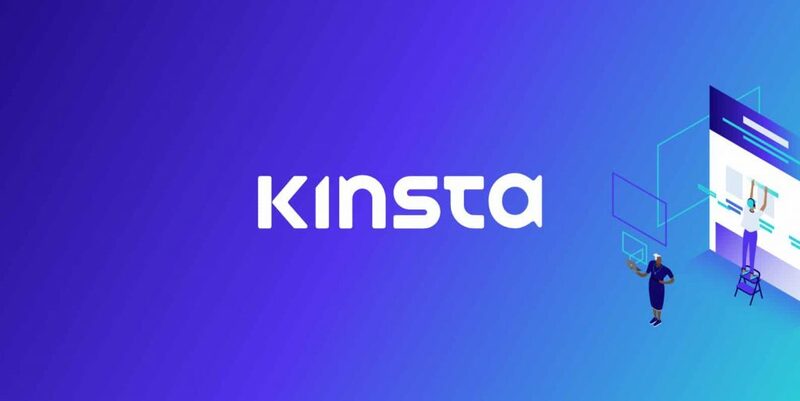 Kinsta is a tech-savvy WordPress hosting company that offers hosting solutions based on Google’s cloud technology platform. That is, you read all the speed and distribution benefits of cloud hosting without the hassle of managing it! They offer free SSL, daily backups, lighting-fast speeds, and excellent support. They offer pre-configured plans with free CDN hosting starting at $30/mo and ranging all the way to $900/mo. WPEngine is the gold-standard among managed WordPress hosting. It used to be the fastest, cheapest, and all-around most “wow” solution available. That was when there weren’t many competitors. Their success has created the market for managed WordPress hosting. They still offer features such as free CDN, unlimited storage, and lightening fast speeds—but they aren’t the only show in town any more. They offer developer plans where you can host up to 10 sites for $99/mo. 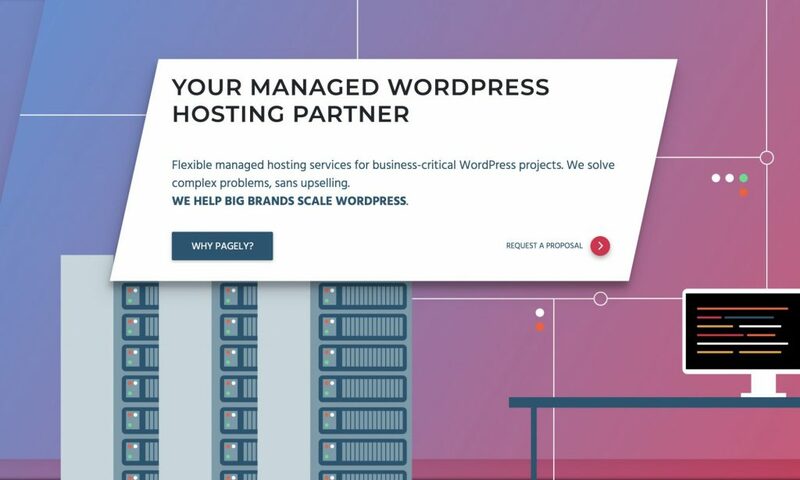 Pagely has become a very well known name in the Managed WordPress hosting space. They were among the original hosting companies to specialize in WordPress solutions. Pagely caters to websites with high performance demands and higher budgets. 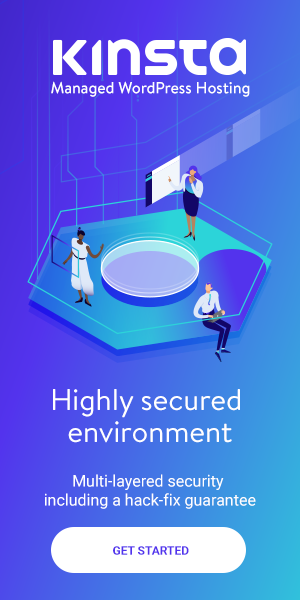 They even offer modernized solutions such as serverless hosting. I wouldn’t recommend them for most small businesses but they can be a godsend for larger websites with decent cashflow. All around, one of the better choices available. 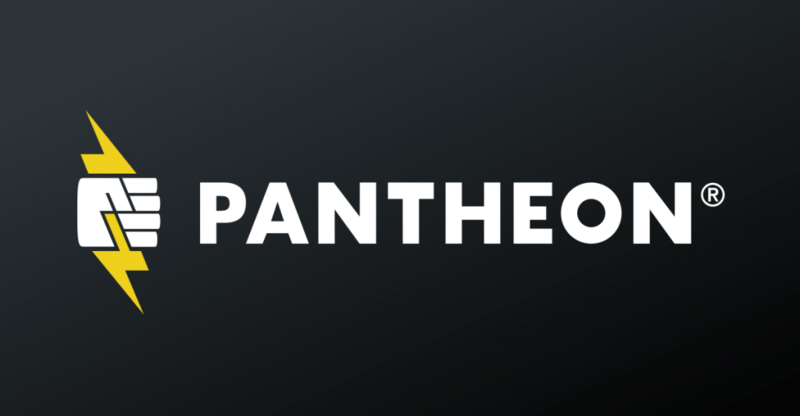 Pantheon is a developer’s dream. They offer powerful backend analytics services such as New Relic with many of their plans. They optimize server rendering, caching, and internationalization through integrative cloud-based technology. 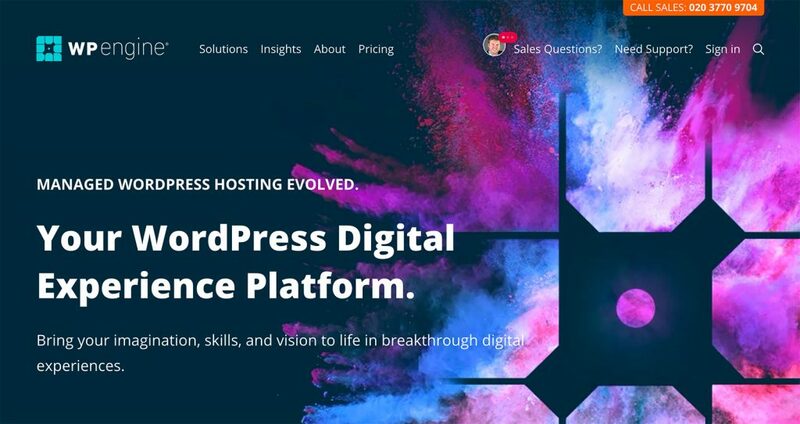 In addition to their lightening fast WordPress hosting speeds, they offer collaborative tools to help make the development and market response processes faster as well. All around, Pantheon is the managed WordPress hosting provider you didn’t know you already loved. Which WordPress Host is the Fastest? That’s the reason we’re all here right—to figure out which WordPress host is the fastest? Confession time. Each WordPress host listed here is likely to be pretty damn fast. When it comes to serving a page to your visitors there’s a lot of context that needs to be taken into account. For example, Pagely might outperform Flywheel but might also cost 5x as much per month. Is that extra .1s in page-load speed really going to be worth it? If you’re an international eCommerce store than yes. If you’re a small blog then probably not. I recommend you compare the features, pricing, and solutions available from each of these WordPress hosts. Among them, you’ll find the fastest host that caters to your companies specific needs. Online marketing has grown to become one of the most effective mediums for small businesses for generating a return on investment. More traceable, measurable marketing methods combine with lower costs for advertisers to make the online environment an attractive option. But what can small business owners do to leverage the power of online marketing, and what types of campaign can deliver results in the online sphere? Advertising is the staple of online marketing campaigns. As compared to offline advertising, online advertising costs are still significantly cheaper, and successful campaigns can deliver streams of highly targeted prospects to your business. One of the most popular types of advertising bought by businesses is known as pay-per-click, through programs such as Google AdWords. This allows business owners to pay only for the visitors that click on their ads (as opposed to paying a flat rate for impressions or for a print ad, for example). Businesses choose keywords relevant to their product or service and bid a per click rate. This allows for virtually instant traffic, allowing for instant conversions for your business at minimal cost. And because costs only arise when someone is interested enough to click your ad, you get maximum value for your advertising dollars. An increasingly viable alternative now is YouTube ad placements, managed through Google’s AdWords platform. Your business can promote a video, a video ad or a standard ad alongside relevant YouTube and video content. This can help businesses in a surprising range of sectors reach new audiences for their business online. At the moment, it can be possible to buy traffic from just a few cents per click – much lower than the mainstream PPC option, but less targeted. Finding the perfect online marketing campaign often involves a degree of trial and error. Social media marketing is one of those areas, and depending on your industry you may find varying degrees of success from your social media marketing strategies. Social media is all about becoming part of a wider online conversation. Through the creation and promotion of effective, interesting content, businesses can more closely align themselves with the interests and the personalities of those who are in their key demographics. By adding your own value to the social media concerned, you become a useful addition to the network – much more effective than being pegged as a spammer early on. Those who deploy various online marketing strategies should always drive back to an email sign-up. Capturing an email address is one simple way of rapidly boosting the value per visitor, allowing for multiple relationship-building and sales communications in future. If you collect no email addresses, your content needs to convert visitors as soon as they look at your site. But by collecting email addresses from PPC ads, YouTube, Facebook and other online networks, you increase the possible return from your online marketing efforts. There are many ways to increase your website’s worth and drive traffic and promote your business online. With the right mindset, even those previously unfamiliar with online marketing techniques and strategies can dramatically increase their online impact. The right formulas for online marketing can improve results for any business. Local SEO tips are a dime a dozen. The reason is that most businesses don’t apply them consistently and therefore give them a bad reputation. That means that good tips often sound like bad tips just because so many people screw up their implementation. Not always the truth, but more so than most SEO professionals care to admit. This article lays out 25 basic SEO tips for local businesses to stay ahead of the curve. These tips are, in most cases, quite simple. Notions like good content is better than bad content shouldn’t be the breakthroughs they usually are. Nonetheless, here we are tossing some basic ideas to the wall and hoping them stick. Remember this—your business’ success rests in your own hands. Being aware of any advantage possible is a good thing. Trust me. 1.Recognize the importance of web traffic. 5. Domain names with hyphens. 7. Your website’s content is important. Will these tips guarantee your business’ success? Hell no. These are just ways to help you understand the lay of the land an recognize what other successful businesses are doing. Just because I know the Ford Motor Company adds Blu-Tooth connectivity to their new cars doesn’t mean that I can start a successful car company. However, if I’m looking for ways to make my existing car company more successful I should probably consider adding Blu-Tooth connectivity. Simple. The success of any business is mainly dependent on the kind of advertising that has been put in place. It is through advertising that the business gets popularity among the people which ultimately leads to increased sales. Notably, this venture is always a major cost for most businesses and can therefore be a limiting factor for small businesses. This is the reason why one should consider Facebook for Small Businesses. Facebook has proved to be very essential for small and upcoming businesses, not only in advertising, but also throughout the running. For one intending to start a small business, Facebook should be an option on your list due to several dominant reasons. For one, you need to market your business in order to get an increase in sales. In relation to this, many forms of marketing may be quite expensive to a small business, which has limited financial capabilities during inception. Therefore, Facebook can be an ideal option to consider. The cost you incur while marketing on this social platform is considerably much lower compared to other forms of marketing. Thus, it plays a role in minimizing one’s expenditure on marketing fees. Through this social media, one also has the opportunity of availing themselves of adequate information concerning the business to the people. You can ideally, post the business history, product descriptions and much more to the clients. This is much more effective if you have an active Facebook page. Through the page, clients get to know a lot concerning the business, including all of the services and products on offer. Notably, no business can operate without good communication between the staff and its clients. This has led to the provision of customer care numbers to clients by the different businesses. However, if one wants to minimize the costs and still ensure adequate communication, then Facebook is the best solution. Through Facebook, you can easily communicate with the clients using messages if they need expert feedback on issues related to the products. Furthermore, if one wants to minimize the queries by the clients, you can easily post solutions to questions frequently asked by customers. Another main reason why Facebook is so essential to a small upcoming business is due to the increase of traffic to their business site. As you start a business, you need to have increased traffic to your site which can be sometimes difficult or expensive through other means. However, one can easily achieve this by posting a link on Facebook, which can resultantly direct the clients to the main site by just a click. It is also convenient as the people already know what to expect when visiting the site. Still, another benefit which a small business will accrue from this social site is on the uploading of videos and pictures concerning their business. After all, there is no better way of communicating to clients than through visual displays. In addition to this, one can also tag people to the videos and photos. When tagged, the images will appear on that person’s timeline, which will in turn be viewed by all of their friends. Conclusively, Facebook for Small Businesses is one of the most reliable and cost effective ways of giving the business a great boost. On this site we preach Search Marketing, search engine optimization, social media marketing, and online marketing in general. And online marketing has certainly become an increasingly important marketing segment that all businesses are paying attention to. But we also want to remind you not to forget about traditional offline marketing. They still work with great ROI. With all the attention that’s placed on online marketing, many businesses are forgetting the fact that they must continue to market offline if they want to continue to grow their business and gain new clients. When it comes to marketing offline, there are tactics that have worked for many decades which shouldn’t be ignored. Some of these tactics work better than others, but it’s no secret that these tactics do work. If you’re looking for some ways to up your offline marketing efforts, check out these proven tactics to make sure everything goes great. One of the best old-fashioned methods that still works to generate leads and grow business is a direct mail campaign. Direct mail marketing almost always generates a substantial return on investment, as long as the mail piece is well-written, researched, and all around good. Direct mail can help generate new leads and reinvigorate old leads, as long as the direct mail campaign is sent to the right people. If you’re able to precisely target your campaign based on market research, you’ll no doubt see a fantastic return on investment. Another traditional marketing method that still works in today’s digital age is distributing promotional materials is more effective vs. advertising. Whether you offer some sort of reward to someone who comes in to your business, or you’re just passing things out at a fair or festival, promotional materials remain one of the most effective online marketing tactics. Return on investment with promotional materials tends to be pretty significant, mainly because ordering your promotional materials in bulk from places like Minespress.com tends to be pretty cheap. It’s best to purchase a wide variety of promotional materials for events, ranging from things like sunglasses and Frisbees to mugs and notepads. The more diversity you have in your promotional materials the better, so make sure you’ve got heavily branded things to pass out to gain some more business. Referrals remain one of the best types of marketing tactics, as word of mouth is the best way to advertise. Increase the number of referrals that you get by offering rewards to customers that bring you referrals. Setting up some sort of referral reward program is a great way to gain business and see a large return on investment, especially because you’ll only have to offer rewards if you get a referral. This would be a great opportunity to offer some of the previously mentioned promotional materials as a reward to a customer who gives you referrals. Holding free classes or workshops is a great way to get traffic coming through your doors which will lead to more sales. Whatever your business is, hold free classes or workshops to help people become better at whatever it is that you do. For example, if you run a home improvement store, offer classes on how to shingle roofs or put up drywall. You’ll get people into your store and build customer loyalty because you’re offering a great resource for free. We all here the term viral and think “someone must be blowing up on Instagram.” Before the Internet it just meant someone was suffering. Today, this term is used regularly but often the origins of it aren’t understood. One of the first wide-spread computer viruses (back in the day) that affected the general public was named Melissa. This virus worked in a devious way in one’s email that after opening the infected email attachment, it sends a virus-infected email to the first 50 people in your address book automatically. While we’re bombarded with anti-virus warnings telling us to never open an attachment from someone we don’t know, how can we resist doing so when the email comes from someone we actually do know (since the virus uses personal address books to multiply itself)? In fact, Melissa uses Microsoft Outlook’s mail merge command to actually incorporate the recipient’s name within the body of the message, making the seemingly personalized — and unsuspectingly harmful — email to be instantly trusted. Because of this vulnerability, Melissa was reported to be the fastest-spreading virus to ever appear on the cyberscene. Nevertheless and interestingly enough, we can certainly learn the way Melissa (and viruses in general) work and act — and, in the same way, apply that process and strategy to online marketing. Also known as “viral” marketing, the concept is generally to proliferate the knowledge of your existence on the web through other people’s efforts. Be it “word-of-eye,” referrals, affiliates, joint ventures, and so on, it all comes down to that fundamental business process we call “networking.” And according to Jill Griffin’s wonderful book “Customer Loyalty: How to Earn it, How to Keep it,” we are more open, trusting, and loyal when doing business with (or being marketed by) people we know. Online, networking is probably more important since cyberspace is dimensionless and expansive. It grants you the ability to reach corners untapped; areas that would have been unreachable otherwise. However, there’s a caveat: There’s a lot of hype lately about the benefits of networking, but I personally don’t advocate traditional networking (the “I’m open for business” kind) because, in my experience, it hasn’t brought me anything substantial in return. While it can be a fantastic marketing tool, the way in which networking is conducted is often the reason why it does not produce any favorable results. When you’re only networking, more often than not people will want something in return or else they will lose interest if you don’t take the time to recognize their efforts. And if you don’t, you will paradoxically need to network even more, which defeats the purpose. An info-network is one in which information is exchanged in some form or another between parties. That information includes qualified leads that you can both share or information about each other that is promoted to each other’s market or client base. As long as your alliance logically shares a same target market with you but without directly competing with your business, it can become a potentially rewarding relationship. This includes, for example, swapping ad space in e-zines, posting reciprocal links, co-advertising, submitting articles for publication, participating in discussion lists, etc. But info-networking goes further. It also refers to mailing lists where you can swap each other’s prospect or client lists — particularly offline or “opt-in” lists. For example, many web sites and e-zine publishers have opt-in lists that range from 100 to 100,000 subscribers. Many cross-market their lists, such as offering “solo” ads or offers from other subscribers — but of course, at a cost. However, if you publish your own e-zine or maintain your own opt-in lists, the obvious advantage is that you can swap “solo” ad space with each other. However, there’s another form of networking that may be more effective, particularly for those of you who do not share your lists. I call it “auto-networking.” This system goes beyond simply submitting your site to search engines, swapping your ad with others, or placing your offer on “free-for-all” links directories — all with the hope that they will produce something in return. It means a process through which you are constantly and systematically exchanging leads with your strategic alliance. On the Internet, this technique is one in which a systematized method of cross-promotion between you and your alliance through a unique, joint marketing effort is created. For example, this includes an exchange and coupling of complementary coupons or special offers that are exclusively marketed to the each other’s clientele. Another is the process of amalgamating products, services, offers, or information that complement each other’s portfolio. If your ally sells a product online, they can add to that particular purchase additional bonuses from your web site or business, which may include your special offer or one of your products that complements theirs. You can even create an entirely new and distinct product, service, or information package from both companies and sold simultaneously from both sites. Here’s an example: You sell cookware online. You can easily team up with a publisher specializing in cookbooks and throw a book in the mix. While you raise the price and split the profits with the publisher, you naturally and instantly raise the perceived value of the cookware through a co-branded or combined package of non-competing products or services. Best of all, you share in each other’s traffic, market, lead-base, and referral-sources (i.e., network). Here’s another example: If you’re a software programmer and you have created a program that, say, targets businesspeople, don’t just give it away as shareware. Offer it to other sites that target businesspeople as well. While your program may not relate to your alliance’s product, they both appeal to a same market and together make the offer more irresistible. In addition to the fact that your program makes your alliance look good or their offer more palatable, if your shareware is copyright-free you get your software to multiply itself — especially within a market of much higher quality by virtue of the nature of your alliance’s business. Ultimately, you can create affiliations, alliances, referral-sources, and centers-of-influence that will help to propagate your online presence and, like a virus, multiply your online marketing punch. If you have taken a look around some of the bulletin boards over the last couple of years, you’ll probably have seen many plaintive cries for help. It seems that Google’s Panda and Penguin updates have hit the rankings of many sites, and they are looking for a “Panda expert” to get them back up onto the first page. It seems they think that they can wave a magic wand, put in some clever keywords and play around with their link profiles – and everything will be okay. In the real world, people want to be entertained, informed and motivated. They don’t want to read three paragraphs of text with the phrase “stainless steel dog dishes” repeated 45 times. This is what the Google updates are really about. According to Google, they are “designed to reduce rankings for low-quality sites – sites which are low-value add for users, copy content from other websites or sites that are just not very useful.” In other words, Google wants high-quality content, and it is using all its technological muscle to bring that about. This is not about Google trying to dictate what websites do just because they can. Google’s primary product is a set of links to relevant and useful information, and if they can’t provide that, then they risk becoming irrelevant themselves. So, it’s no use hoping that things will change – Google will continue to put a relentless focus on promoting content that its audience wants. What does this mean? Well, it doesn’t mean that keywords aren’t important anymore. Google encourages the use of keywords to help it figure out what sites are about, so that they can provide the relevant information that its users want. What it does mean is that you need to focus on producing content that is helpful to your audience, makes them feel interested and keeps them coming back. Actually, this is really a return to how things used to be before the Internet got going. We never used to sell or get a following by repeating the same poorly written, meaningless phrases over and over, because it’s completely useless. Search technology may have been playing catch-up for too long, and people exploited it as a result, but now we are getting back to fundamentals. You have to be on your game, and if you are, you now have the opportunity to rise above all the garbage and get your message across. That’s a good thing. The same thing applies to social media. For example, take a look at videos by Cydcor on YouTube. They don’t talk a lot about their sales outsourcing business, but they do show you their corporate culture, and how they work with charities. They engage you, and make you want to find out more. The point is this. Rather than focusing exclusively on the mechanics of search engine optimization – and this is still important – think about how you can get your audience to like you and how you can bring them value. You know what your visitors want. If you don’t, then you probably should get an expert to help you find out. Google gets smarter every year. Their algorithms are able to determine SPAM and strategy from truly great SEO. By truly great SEO, I’m referring to valuable on site content and also relevant offsite backlinks. The Panda algorithm stopped SEOs and web masters from polluting the web with thin, irrelevant and duplicate content which helped promote good quality sites. Thank you, Google. The Penguin update stopped spammy, paid links and even the crappy free ones. Thank you, Google. But…They’ve also made it incredibly difficult for natural link builders to do their jobs. Here’s why. A year ago, an SEO could use webmaster outreach to find great, relevant sites that would make great partners. He could reach out to them, convince them of the value of linking to his client and “earn” his client backlinks. True, there’s something a little manual about this. The client didn’t just get the link because his content was great. There was a little “push” from the SEO doing the webmaster outreach. But isn’t that just a little PR? And if the link is relevant and good for the site visitors, no harm done, right? Aren’t these the kinds of links that Google encourages – relevant, quality links? Sure. To this day, Google has maintained that links still impact ranking; they just need to be natural and relevant. But Penguin didn’t just target SPAM, paid links and Web 2.0 garbage. Penguin actually looked at the ANCHOR TEXT of all links. So if your SEO built you what could be considered a quality link (relevant content, relevant site), but he used your keywords as the anchors too often, even those links are considered “over optimized” and can hurt you. That’s right, even a great link can be damaging if too many of your links are keyword specific. Link builders know that links are still valuable. They know they need to build high quality, relevant links that are actually good for the web, good for site visitors. And they know these links still positively impact rankings. But they can’t use keywords in the anchors. That’s right. Google considers these kinds of links to be over optimized. Studies show that sites who use their business name or brand as their anchor, don’t get penalized. They get the best results. So when I’m talking with a client about building links, I explain that the majority of what they build should use their business name as the anchor. “But we already rank for our business name” they always tell me. Yes. I know. But as much as you’d like to rank for those ten keywords that you’re so passionate about, that shouldn’t be the main goal of link building. 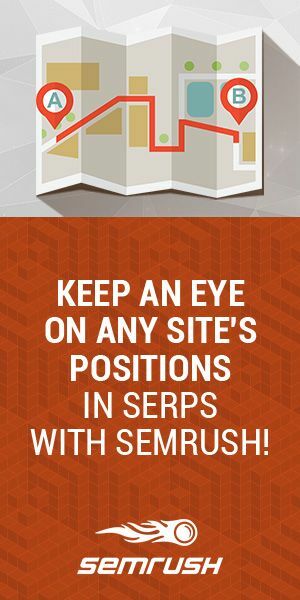 If you laser focus your link building efforts on specific keywords, it’s possible that it will appear unnatural and you could earn your site a penalty. Instead, you’ve got to spread the word about how great your site is. Encourage and even persuade other sites to link back to yours. But DO NOT tell them what anchor text to use. You want to let them choose what they feel makes the most sense in the context of what they are writing. You want them to use your business name, or even your URL if that’s what they deem makes the most sense. Trust that the links will pass link juice to your site and improve it’s trust and authority. Can you track it? Not by watching specific keywords, no. Maybe by watching the overall number of keyword rankings. Better yet, by tracking organic site visitors month over month. But isn’t that the goal of all your SEO efforts? And here is where Google has crippled professional link builders. They know their efforts are having a positive impact on the overall “SEO Health” of the site, but they have no way of proving it. There’s practically no one-to-one evidence that a bunch of backlinks using branded anchors helped your site rank higher or for more keywords. And when it’s hard to prove, it’s hard to convince clients to invest. So they don’t. They try old tricks. They use old strategies. And some of them still work actually, feeding their belief that they can still target keywords with offsite SEO. But fair warning. Google gets smarter year after year, and if you aren’t building links in an organic, natural way – a way that improves the web and makes the user experience better for everyone, Google is going to eventually catch up with you. To anyone wondering how to determine if a link is good or not, there’s a pretty good way of knowing. Simply ask yourself this question. “If it weren’t for link juice and PageRank and domain authority, would I still want my link to appear on that site?” If the answer is yes, it’s a great link. If the answer is anything else, you should re-evaluate your link building. The Internet has turned the world into a global village and in particular social media has the ability to connect millions of people across the globe. It is estimated that people spend 20 minutes on Facebook every visit. If you have a Facebook page, then it is high time that you put the following Facebook Marketing Tips into good use. One of the most important things that you should consider is the fact that Facebook provides unique opportunities that are different from any other media. For instance, you would not run a television ad on radio and vice versa. In addition, you cannot market on Facebook the same way you would advertise on a website or magazine. Facebook Marketing Tips include not using the social site for a hard sell. People view Facebook as a fun site where they can interact with family and friends, view photos, videos and generally relax. This means that if you want to be successful in marketing on the social site, you need to join in the conversations and become a part of the community as opposed to being a marketing outsider trying to market aggressively. When trying to sell products and services on Facebook, you should not use hard sell tactics like using some advertising slogans. In addition, you cannot provide a list of products and their prices isolated from a related conversation. The result of such actions will be that other users will “unfollow” you and even post some negative comments concerning your business. Clear goals and strategies are required and Facebook Marketing Tips will involve creating posts each morning featuring the day’s special. For instance, if you run a fast food joint, you can post a daily photograph that features a customer who is your ‘Burger King or Queen’ for the day. Other users can also be encouraged to post photographs of them tucking into a burger. A human voice is required for your company since people on social media like it when they are talking with other people as opposed to a business that is impersonal. This means that the person who has been charged with the responsibility of posting on Facebook needs to have the ability to write the posts in a likeable and real sounding voice. The person posting also needs to have the freedom of expressing themselves using their own words as opposed to the official line of a company. Other Facebook Marketing Tips includes posting on a regular basis. They say out of sight out of mind and the same is true with social media. Your business needs to be visible on social media and one way to do this is to post regularly. When doing online marketing, business must be creative because the online commercial environment has allowed businesses to identify new ways of wooing potential customers and boosting their conversion rates. At the same time, many sectors have become vastly more competitive, making it more important than ever to capitalize on the leads your business generates. Online coupons and promo codes are one such tool businesses are already using successfully, helping them find new customers and encouraging more sales. These types of techniques, based on traditional marketing materials, can be implemented easily within the existing infrastructure of your website. But how do coupons work for businesses, and are the results worth implementing within your online offering? Coupon codes are used widely across ecommerce, with a proven track record for success in attracting new business. They are essentially an electronic means of providing a traceable discount, so that customers can save on the costs of placing an order with the business concerned. While this does impact on their margins, it nevertheless introduces a new customer who may not otherwise have bought from the site. This in turn helps grow the customer base of the business, making for a cost-effective form of marketing and selling to new prospects. While it might seem counterintuitive to take a hit on the costs of your services, some businesses in particular lend themselves to discounting. In commercial printing, the position is no different. Vistaprint has used online coupons and promo codes to reach new customers, raising its profile to hit markets globally for printing services. It is the coupon codes it uses to attract new prospects that helps fuel this level of growth, and its story is not uncommon for businesses that use this type of strategy. Online coupons have a viral element to a certain extent. People like to share discounts (including those being paid referral fees in the process), and this can help fan the reach of a coupon-based campaign. By providing that extra incentive for people to buy from you in the first instance, coupons can also drive sales more directly. A time-limited coupon valid for the next 30 days could easily create a rush during an otherwise quiet time. These techniques effectively allow for flexibility in pricing to ensure businesses can control the flow of sales. Most online businesses could implement coupon codes without much difficulty. It is now becoming standard practice for major online retailers and ecommerce sites looking to find new customers. Regardless of the sector, coupon codes can be a highly effective way to identify new customers, and to encourage them toward actively making a purchase from you. With limited technical barriers, you only need to calculate the ROI you can expect to gain from your promotion. Videolla is dedicated to helping others learn core concepts of digital marketing such as SEO, User Experience, and Website Design. © 2012-2019 Videolla.com. All Rights Reserved.